For 100 years, the Regent Theatre has been a source of entertainment to all who walk through its chrome-handled doors. 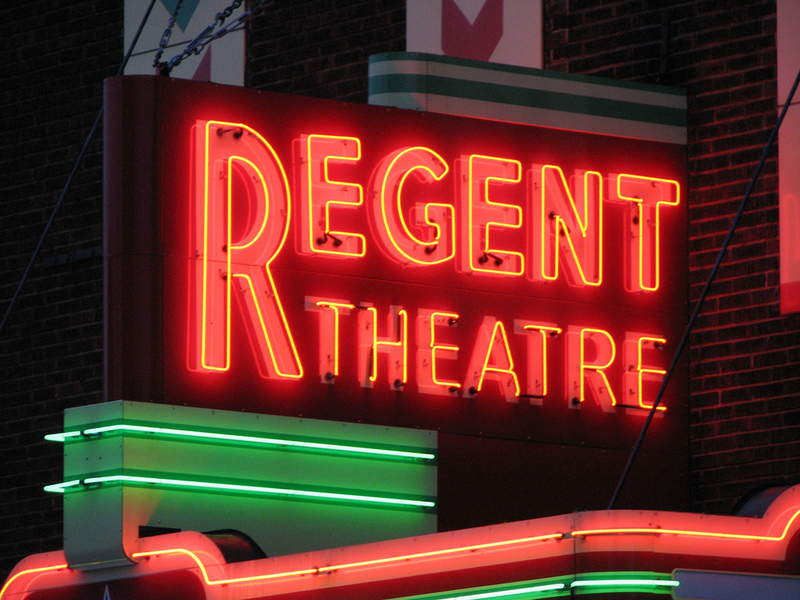 From the young and the old, to the diehard regulars and first time visitors, moviegoers have been encouraged to appreciate the past, and enjoy the present at the Regent. In an effort to expand our offerings of unforgettable entertainment for the next 100 years, we’re thrilled to announce the Regent Arcade. People are attracted to movies for the sense of escape – a chance to check out of reality and embark on an adventure of the unknown. In TRON (1982), Jeff Bridges’ Kevin Flynn quite literally checks out of reality when he is downloaded into the ENCOM mainframe and is set on a mission to find Tron and free the system before he’s “derezzed.” We have always provided that sense of escape at the Regent, and the addition of the Regent Arcade aims to embolden that – without the fear of derezzing. The Regent Arcade will occupy an unused space in the back room of the theater, accessed by the alleyway that stretches along the east side of the building. The project will be headed by Kugelard Construction, LLC of Allegan and will include repairs to existing structures and conditions both to the interior and the exterior of the building, electrical, plumbing, drywall work, and the addition of a utility closet, restroom, and concession stand. Just as important to the construction work are the games that will fill the completed space. 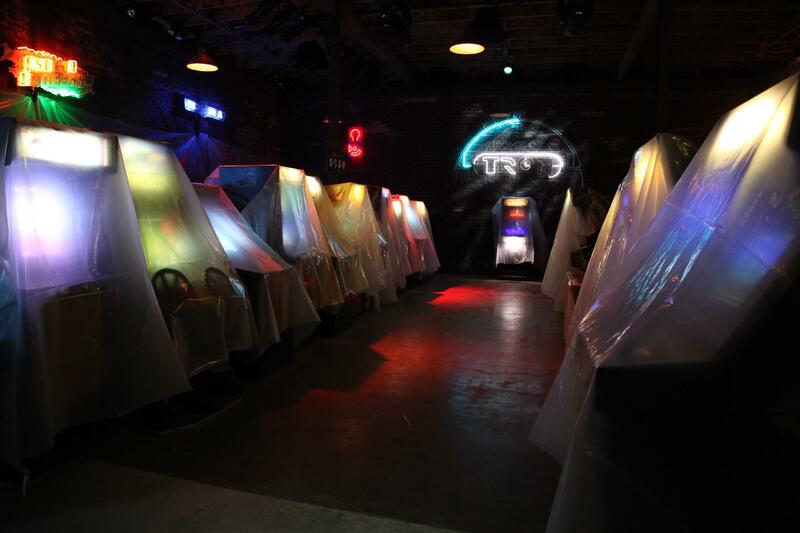 Like Flynn’s Arcade in TRON’s sequel, TRON: Legacy (2010), we will be dusting off the past while blending it with the present for a truly special experience. Through Small Town Amusements, LLC of Allegan, the Regent Arcade will begin with eight pinball machines, spanning over 4 decades in age, as well as one tabletop and one standup multicade arcade machine, each featuring over 50 classic arcade games. Announcements regarding the Regent Arcade, its opening date, hours, costs, rental opportunities and more will be coming soon. Start saving your quarters and get your button-tapping fingers ready, because like his father beckoned Sam in TRON: Legacy, we’re asking you to escape with us on this new and exciting adventure this spring.